The little village of Ballinacurra, on the outskirts of Midleton, County Cork, was Bishop Paul Colton’s first port of call on Good Friday, 30th March. 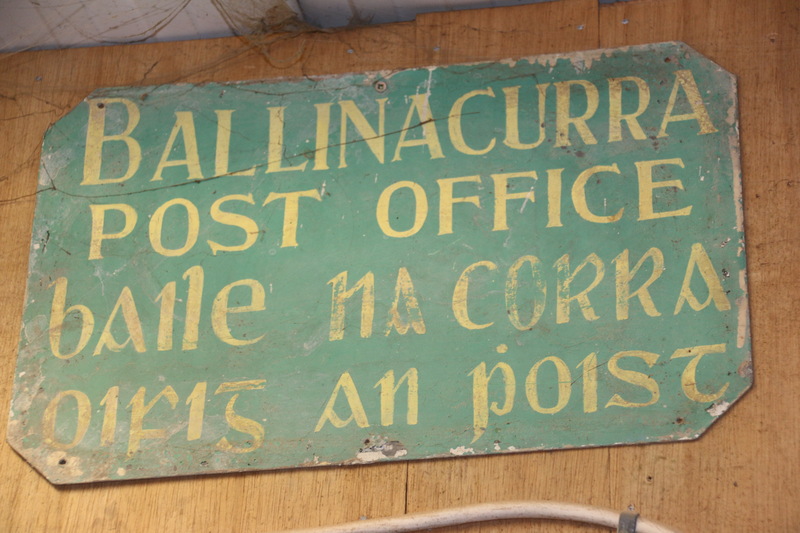 Ballinacurra was, indeed, once a port. Until 1962 it was the port for the town of Midleton, a loading and unloading point for centuries for coal. flax, iron, slate and timber. Timber was, in fact, the reason for Bishop Colton’s visit to the Old Post Office in Ballinacurra, the home of John Ahern, good friend of Bishop Colton’s late father, George Colton, who died in 2012. 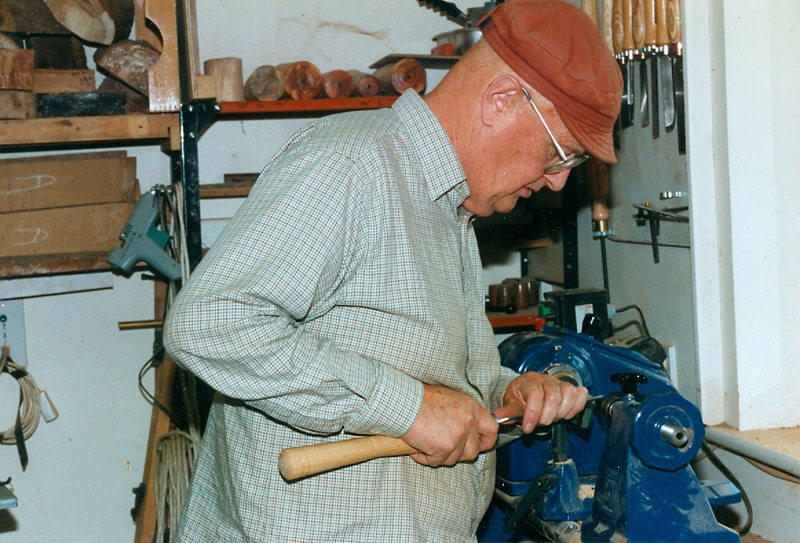 John Ahern is President of the Cork Chapter of the Irish Woodturners’ Guild to which George Colton also belonged and where he forged many friendships. 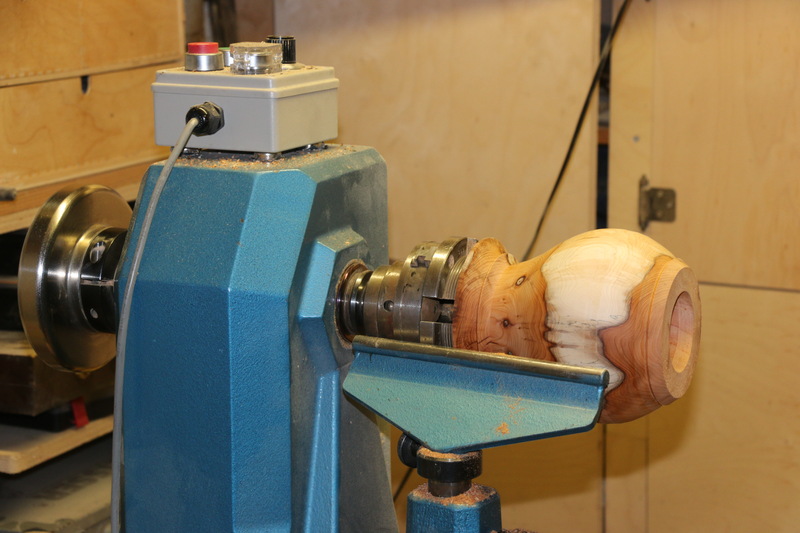 Such was the connection that after George’s death in 2012, his wife Kay (the Bishop’s mother) was elected to honorary membership of the Cork Chapter of the Irish Woodturners’ Guild. 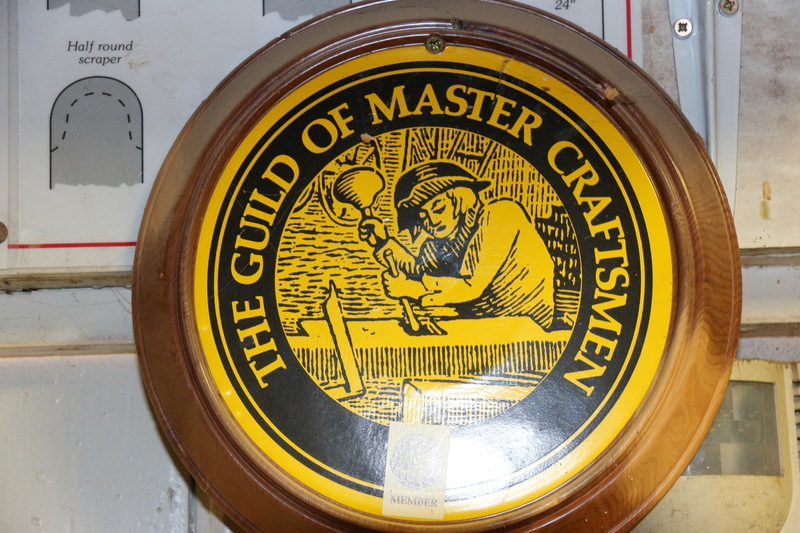 In his day, George Colton, spent hours and hours making things for other people. His work is to be found in homes throughout Ireland, most often given as gifts, and in churches too: altar crosses, candles holders, paschal candle stands, notice boards, shelves and stands for flowers, ewers and prayer books, as well as croziers for a few bishops. 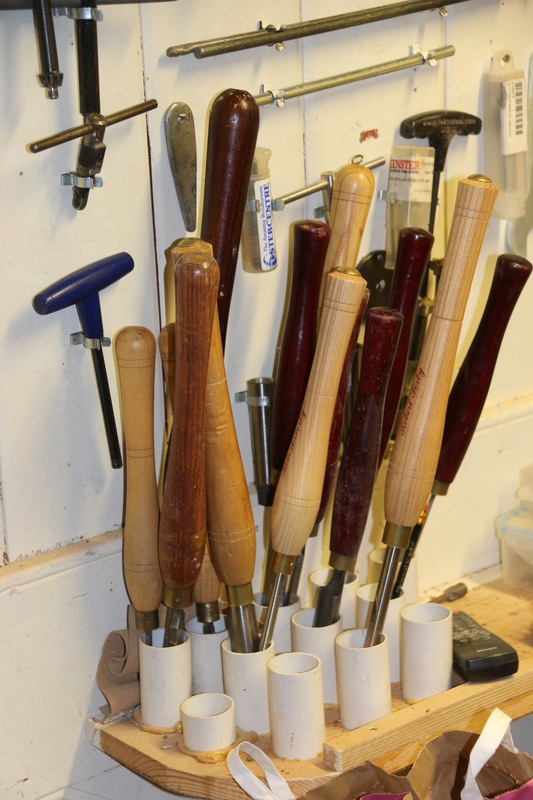 He restored the handles on the bellows of organs and, in the case of, St Fin Barre’s Cathedral, Cork he turned the many wooden stands that ‘rope off’ parts of the cathedral as required. 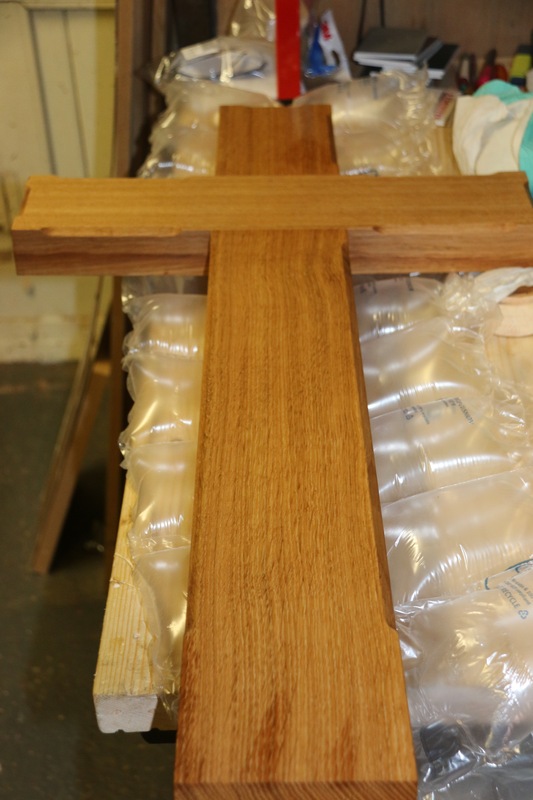 The Good Friday visit had a present day mission; to collect a new cross made by John Ahern, as a gift, in memory of George Colton, for the newly refurbished Chapel at Saint Luke’s Home, Cork. 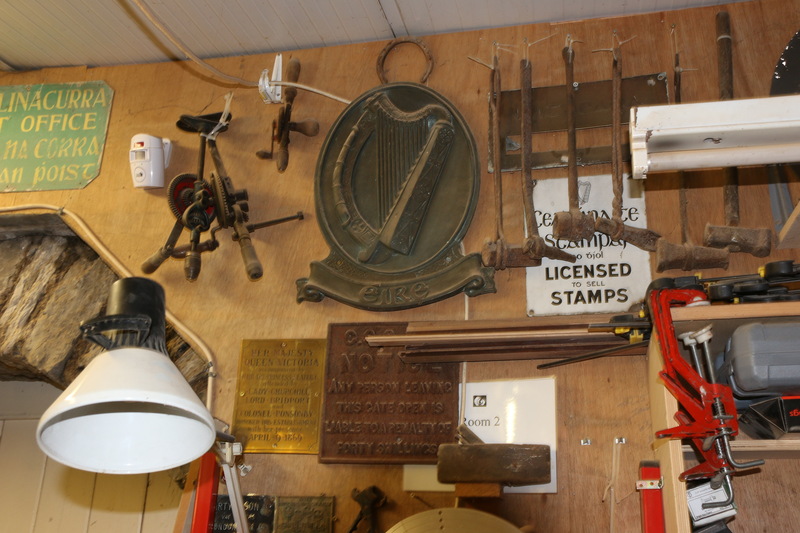 John sourced wood from a disused vat at Irish Distillers (with its Midleton and Cork connections); a solid oak vat which dates to the same time as the founding of Saint Luke’s Home. Good Friday seemed like a good day to collect a cross for the new Chapel at St Luke’s Home. When, in late 2011, my father was given between 12 and 20 weeks to live, he was cared for wonderfully at Saint Luke’s Home. He would be thrilled to think that his friend John Ahern had made this cross, and I am so grateful to John. Each evening of those last 18 weeks of my father’s life there was a little night cap – a drop of Jameson – his favourite tipple. 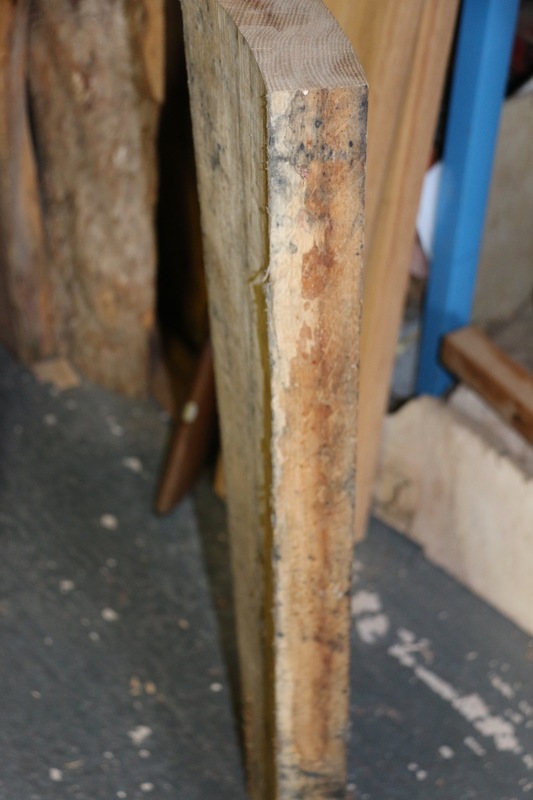 Because the timber John used is from the very old Irish Distiller’s vat, there is still a slight grain, in the wood, of the whiskey which was being stilled. My father would have loved that unique quirk in this piece. It speaks to me about the ordinariness of our humanity, incarnation and redemption caught up together. 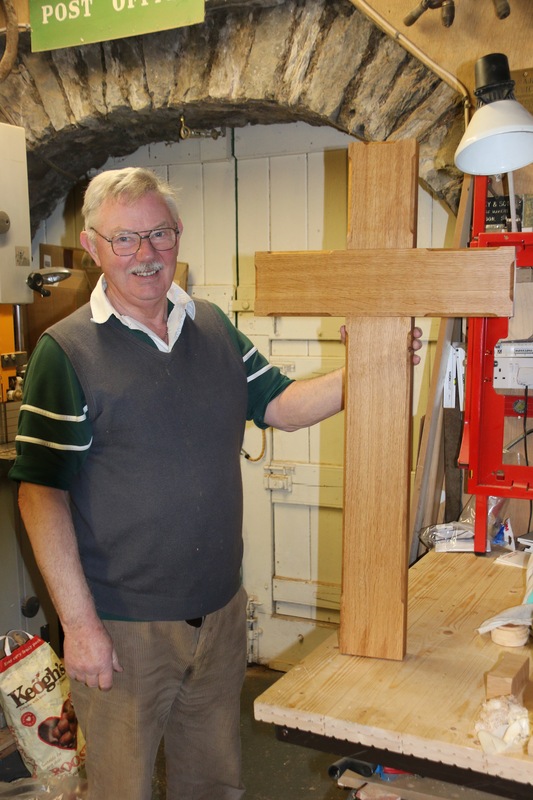 President of the Cork Chapter of the Woodturners’ Guild – John Ahern – with the cross made in memory of his friend and fellow master craftsman, George Colton. This entry was posted in Bishop, Chaplaincies, Cork, Good Friday, People from Cork, People from the Diocese, Saint Luke's Charity, Saint Luke's Home. Bookmark the permalink.